Well, the Drum Library is finally live. Check it out. It’s taken me WAY longer than I hoped, but this drum lesson website I’ve been dreaming up for years is finally alive and kicking. I haven’t announced it on social media yet. You guys, my blog readers from all these years, are the first to know about it. Thanks for reading my blog all these years. Check out the new site and see where all this has led. My new lesson site is coming together and will hopefully be done VERY soon. In the meantime, here’s another DrumCam video from this past Fall’s tour with Ben Rector. There’s a lot more where this came from. 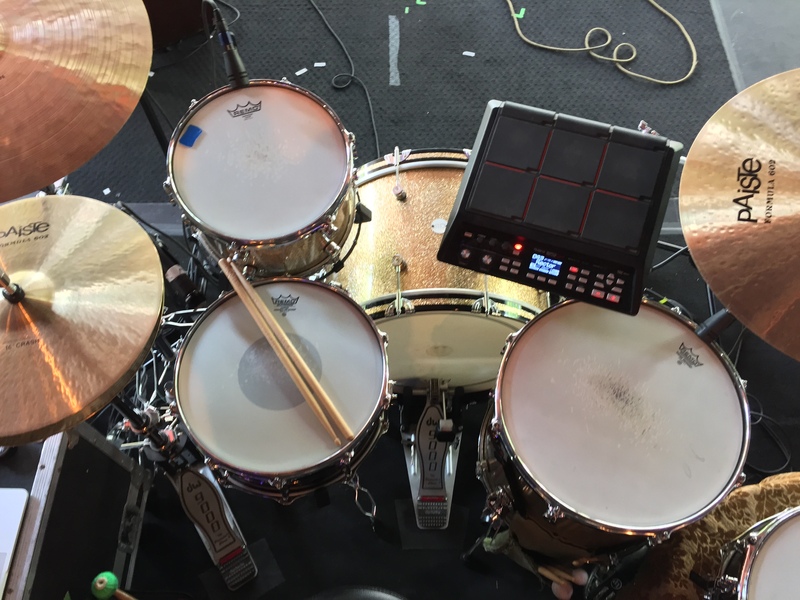 Basically, I have long wondered how I could incorporate video elements into the “Drummers Are Musicians Too” blog, and some recent developments in my life are giving me the chance to really explore the potential of online drum lessons. I’m dialing back my private teaching schedule and replacing it with new effort on video-oriented blog posts. In July I did a full shoot with hours of lessons and solos. The stevegoold.com site is under construction. I’m going for it. I’ll put together an official promo video soon (the clips above are just some soundcheck and B-roll from the shoot). I’m also compiling drumcams and misc master class footage and planning another full shoot. Launch goal is December! 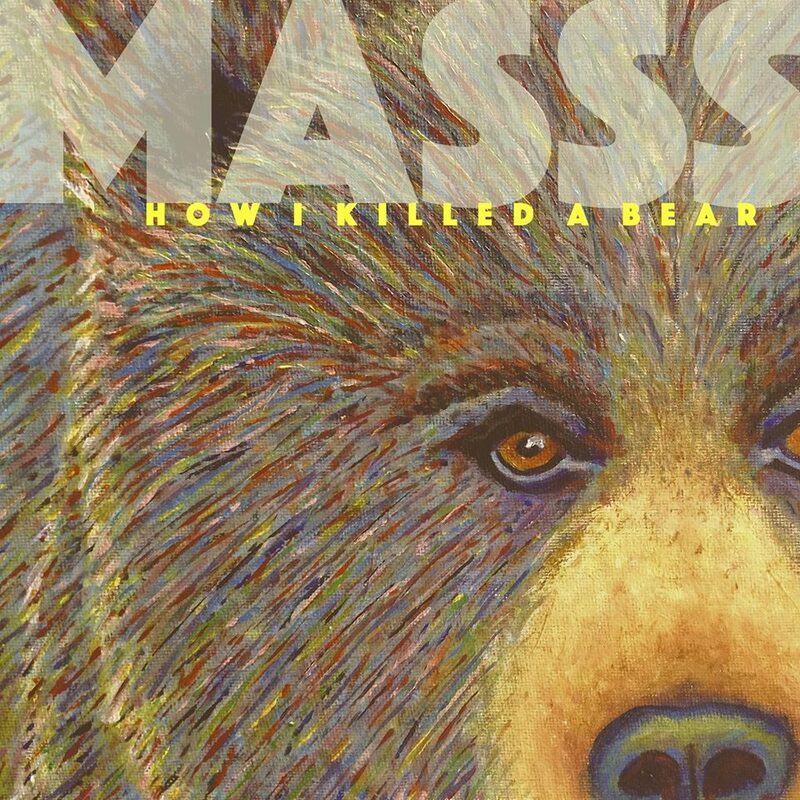 I’m in an instrumental band called “MaSSs” and we are releasing a record called How I Killed A Bear on September 1. In 2012 I was touring with Owl City and my friend Jasper Nephew was playing guitar. Jasper and I would often jam at sound check – just noodling around with ideas. Most of the time we would quickly come up with something that we both thought was pretty cool, and at that point we would usually lament the lack of time during soundcheck to document and preserve the improvised compositions. We concocted a plan to someday go into the studio and jam with mics up and tape rolling, but I honestly figured it would never happen. But then we somehow managed to rope in our crazy talented friend Matt Patrick. On Jan 2, 2013 we loaded our gear into The Library Studio in Minneapolis and got everything set up and dialed. Jasper had his guitar and typical ENORMOUS pedal board and Matt had a couple keyboards, a bass, a turntable with a bunch of effects pedals in the chain, and a few other misc sound-making devices. We then met in the control room and discussed what the day would look like, because there were no songs and no real real plan. 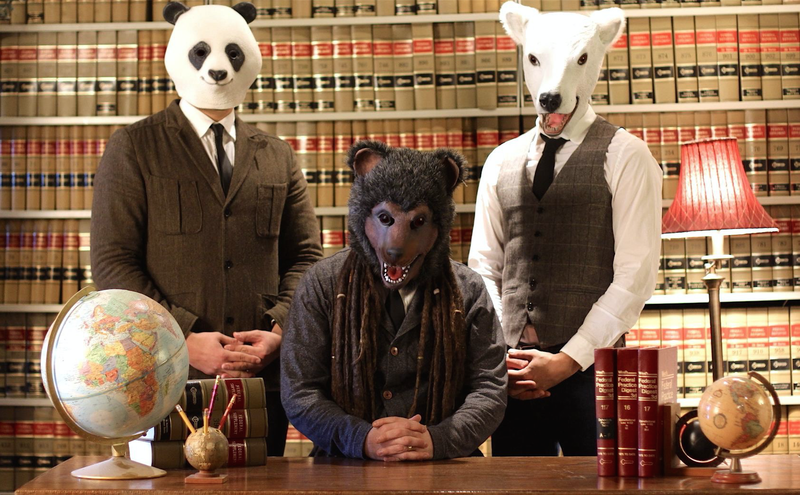 The only idea was to improvise – to just start noodling around on our instruments like we would if it were an Owl City soundcheck – and see if anything developed. I remember saying something like, “let’s just press red and go play whatever we happen to play and listen to each other and then we can stop and circle back if we land on something we like.” So we did that – we walked out of the control room and picked up our instruments and proceeded to play the first track on this record. I mean, we just barfed out a cohesive song with a clear beginning and ending and storyline and it was super magical and we got done and looked at each other in disbelief. And that’s how the day went. We ended up with 12 tracks. Some are one-take improvisations like the one I just described while others took some adjusting and shaping. Some are only a trio and some include overdubs and editing. Some were recorded with a click track and others are totally free-form. As we recorded each tune Matt would pull random quotes out of an old science book that he had in his studio which we then used as the titles for the various tracks. Our respective lives have been pretty busy over the 2.5 years since we recorded this music, but Matt eventually mixed and mastered all the tracks and we even did a photo shoot. I’m not sure if we will ever play a live gig, and that wasn’t really the point of the project anyway. All I wanted to do was document the inspiring ideas that always came from jamming with Jasper, but adding Matt to the mix turned the whole thing into its own creature. I’m really proud of everything we recorded, and there are even a few drum solos (I’m rarely proud of my soloing). I don’t know how to describe the music. It definitely isn’t Jazz, and it’s also not ambient or electronica. Below is a short preview and I hope you dig it. On March 14 I received an invitation to play in Ben Rector‘s band for his slot on leg one of NeedtoBreathe’s Tour De Compadres, which ran from April 16 – May 16. I had never heard Ben’s music or even met any of the guys in his band or the other bands (NTB, Drew Holcomb and the Neighbors, Colony House), but the experience proved again why the music world is so rad: I really loved playing music with Ben and his band (Cody Fry on guitar, Kevin MacIntire on bass). They are all great players/vocalists, and Ben is a masterful songwriter and front man. On top of that, the hang was incredible… not just with Ben but with all 4 of the bands. I got home from the tour a week ago and I’m bummed it’s over! But this post is about gear, because I love giving credit where it’s due. Risen Drums, Paiste Cymbals, Vic Firth sticks, Remo drumheads… theses companies all make fantastic stuff that makes playing music so gratifying. I remember when I had to always fight my gear in order to get it to sound good, and those days are over now. For Ben’s music I decided to use the same physical setup that I’ve had on recent Sara B tours: kick/snare/rack/floor, SPD in a second rack tom position, and hats/crash/ride. My laptop provided Ableton goodness but only for click purposes, and I kept a swap option snare off to the right. I used my workhorse 6.5×14 black brass tube lug snare (tuned mid-low-ish) on most of the set, supplemented by my 5.5×15 Canopus Ash snare as the tight and high alternative. The BFSD muffles (Donut and Original) showed up as well a few times throughout the set. I brought two cymbal rigs on the tour, one for large outdoor spaces and one for theaters or enclosed bandshells. 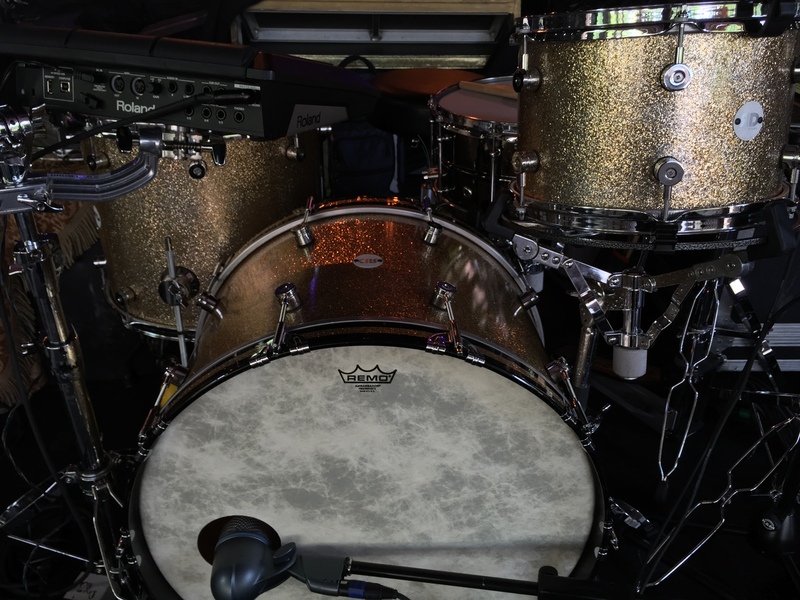 The outdoor rig is pictured above, L to R (all Paiste): 602 Modern Essential 16″ crash hats, 20″ Masters Dark crash, 22″ 602 Modern Essential 22″ ride. They’re full and rich, with some brightness and presence, but not overbearing. 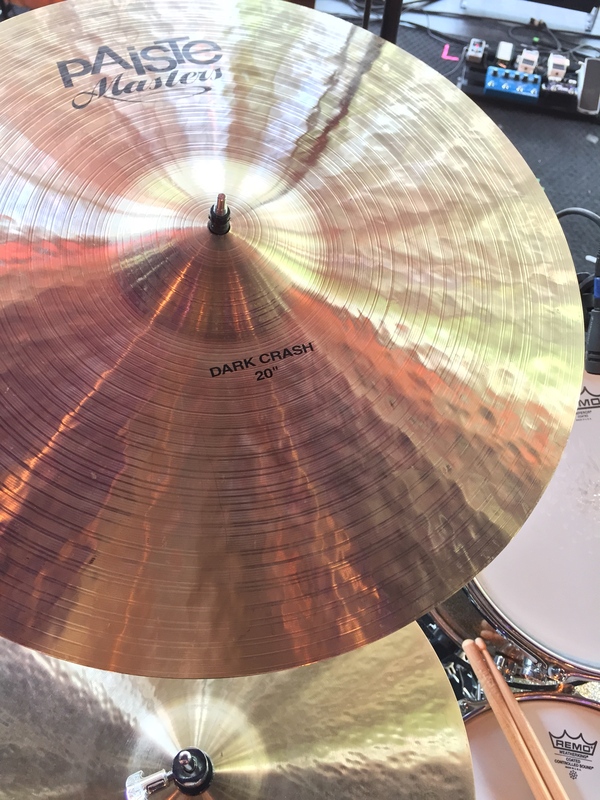 The indoor rig had the same 20″ Masters Dark crash, but the 16″ crash hats and 22″ ride were Masters Dark as well. That series is somewhat new to the Paiste world, and I got a set back in February. Wow. I love them. The tone is dark and the pitch is deep, but there’s no trashy or flimsy presence. The ride really surprised me – unique, full of character, and different than I expected – but I love it. I’ve used it on jazz gigs, in sessions, and now out on tour with Ben. As always, comment here or message me if you have any questions! A few months ago Twin Cities local CBS news channel WCCO ran this story (video) on my friend Jason Gerling. He’s an inspiring and contagiously encouraging guy with an amazing story and a deep passion for music and drums. He’s also a great player with a rad vision for a kick drum shell sub woofer. 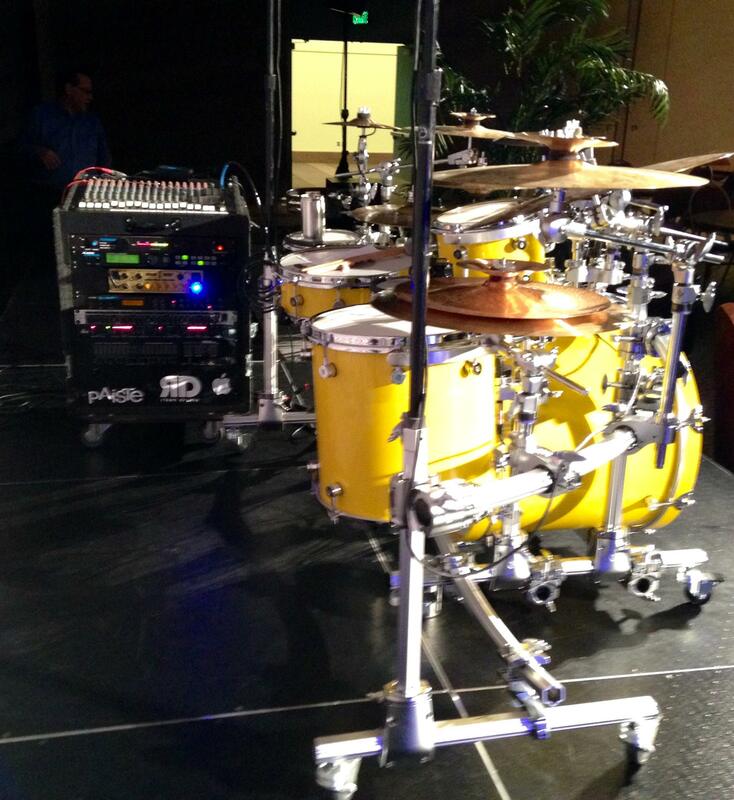 Jason’s kit features a 22″ bass drum that is actually an 18″ speaker cabinet, with the speaker facing the drummer and the ports facing the reso head. A handful of misc triggers are placed around the rest of the kit so the kick samples can be fired from different locations, with some of them even placed on the underside of cymbals. Jason is able to recreate full kick/snare patterns, complete with fills, using only his arms. The rig includes a DM5 brain and a bass amp, which can run DI to the house while also sending signal to the kick drum speaker. 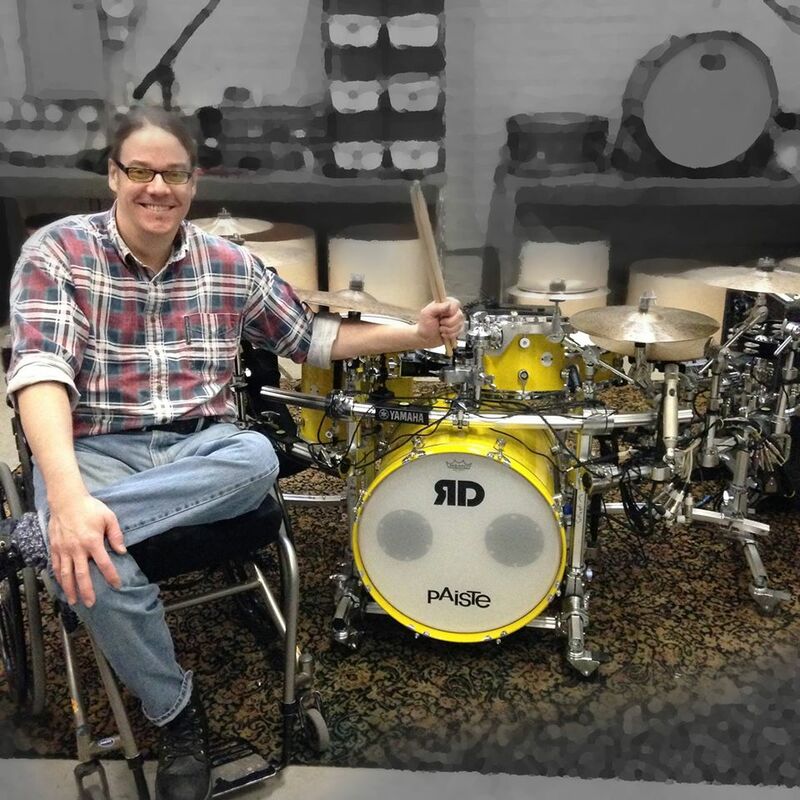 Jason even put a mesh head with a trigger on the batter side of the kick, allowing a non-wheelchair player to attach a pedal and play the kit that way. I had a chance to play Jason’s sub-kick while he was testing it out at the Risen Drums shop… it’s legit. 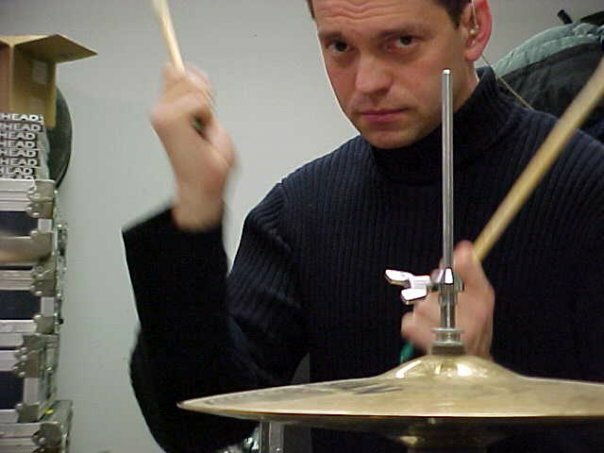 The advantage in Jason’s concept is for the drummer and the other performers on stage to feel the air movement of the kick, something that has long been missing from electronic kits. At one point we set up an acoustic kick with a pedal next to Jason’s sub-kick with a trigger. I played the same groove and switched kicks every two bars. We leveled the bass amp volume and EQ’d the tone until the two kicks were almost indistinguishable. Of course there was slight a tonal difference, but at that point Jason’s concept provides the amazing option of cycling through his hundreds of kick samples to find the appropriate tone for the room or the song. Check out the linked video above and give Jason a shout on Facebook! 2) I wish I had time to post stuff EVERY DAY. I love blogging. I guess that makes me a geek. 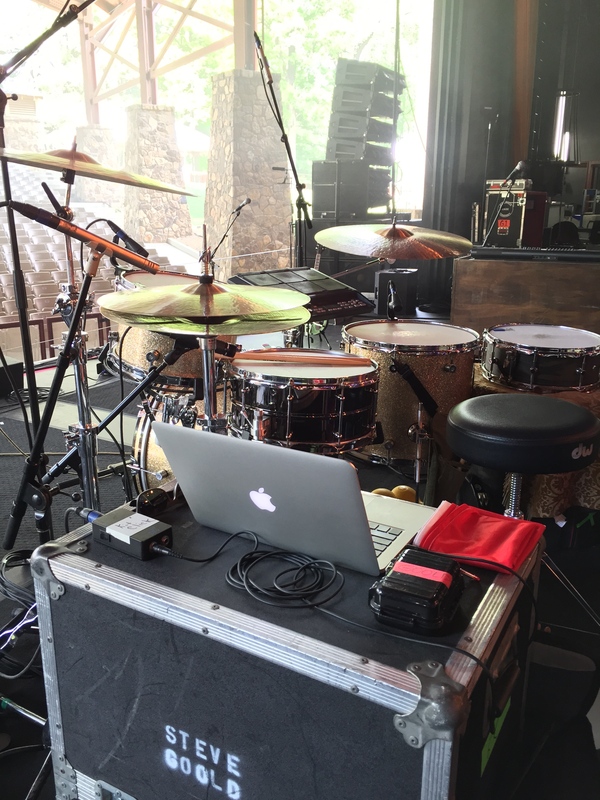 If you’re interested in my geek perspective on in-ear monitors and how I go about dialing in a mix on a gig, then head over to the Alclair blog and check out my recent guest post. That crew builds some incredible monitors and partnering with them has been a really great thing for me. Also, if you live in the Twin Cities then you should make some time on a Thursday night and come visit me at my weekly Jazz Is Stupid gig (facetiously titled after this moment from The Office). Bauhaus Brew Labs makes delicious beer, then they serve it at good prices in their wonderful (and HUGE) Northeast Minneapolis taproom, and then they let my friends and me play jazz music from 8pm-11pm every Thursday. No cover + no age restrictions for hanging out and listening to the music + good food trucks = WINNING. If you know anything about Dave King then you’re not at all surprised at the nature of Rational Funk, his new series of drum instructional videos. Deep musical truths couched almost unidentifiably in humor. Funk lives, and is rational. Ants on a log. I like it.